For the past several years, the kitchen has increasingly become the centerpiece of many homes. It is not only a place to enjoy quaint breakfasts and evening dinners, but it serves as a gathering spot for entertaining family and friends. With so much time spent in one area, it’s no wonder many homeowners want to keep their kitchens updated, welcoming and functional. With the popularity of kitchens, we have seen an influx of TV shows, magazines and social media content surrounding the latest and greatest design ideas for this special area of our homes. Kitchen design trends move fast, so where do you begin? 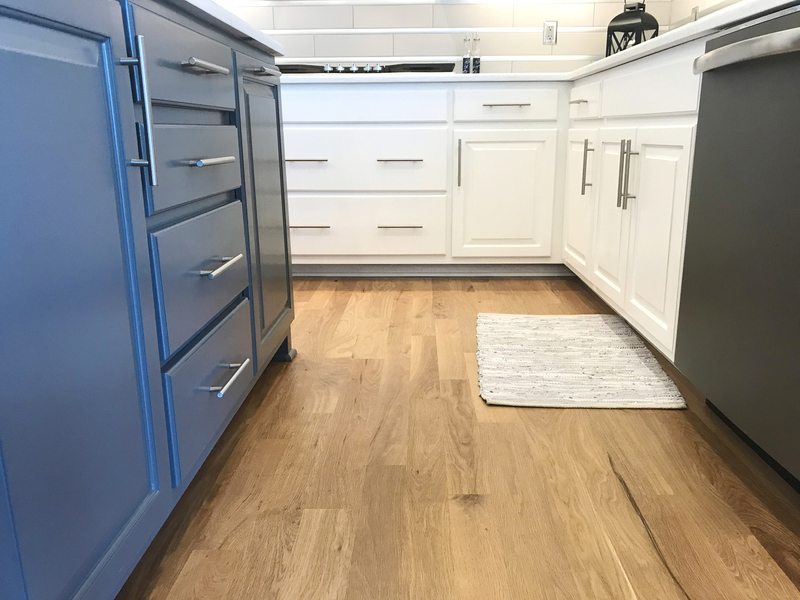 To get started, Desirable Kitchens & Refacing, Pittsburgh’s experts in kitchen cabinet refacing, has narrowed the list down to the top seven kitchen trends for 2019. Gone are the days of the all-white kitchen and shades of gray. Dark colors are making a comeback, with navy and black being the top choices. Some kitchen designers are even adding forest green as the moody hue of choice. The darker shades are being incorporated into backsplashes, wall colors and kitchen cabinets. Matte black cabinetry is a hot trend for 2019. Adding color to a stark white kitchen is being achieved with the use of two-tone kitchen cabinets. Some homeowners opting to keep their white cabinets are adding a wood element, while others are going with two different colored cabinets for upper and lower spaces. Industrial countertops, made of concrete and other unexpected materials, are bringing a down-to-earth feel to many kitchens. If you are contemplating kitchen cabinet refacing in your Pittsburgh home, give consideration to an earthy countertop with textual surfaces to match. It’ll create a whole new vibe to your current space. From pendant lighting to cabinet hardware, the use of mixed metals is a popular design element for 2019. Incorporating black, copper, pewter and brass throughout the kitchen will make a definite statement. Backsplashes are going bigger and bolder. Designers are not only extending the tile beyond the top of the counter to the ceiling, but they are utilizing bolder materials that appear to be hand-hammered. By adding texture to the wall, it enhances the visual design elements. Complementing the down-home, simple design for kitchens in 2019 is the addition of bench seating for dining nooks. Whether you opt to add built-ins during a full kitchen remodel or simply purchase bench furniture, it will be a cozy feature of your home’s main gathering spot. Recent design trends have embraced craftsmanship—and the heart of your home is no different. Kitchens are beginning to incorporate specially designed sinks that have the artisan look and feel. Installing a highly crafted sink makes an excellent choice for an earthy kitchen. If you are planning to reface the kitchen cabinets in your Pittsburgh home, consider additional upgrades that will transform your home’s centerpiece into the kitchen of your dreams. Call Desirable Kitchens & Refacing at 412-515-0582 for a free consultation. Our knowledgeable team will present the best options available for your kitchen transformation. We pride ourselves on having the right solution for every customer – every time!